The iBall "Decibel" comes with a built-in FM Radio, and supports multiple playback options, including Bluetooth, AUX and MicroSD Slot for direct music playback. iBall has launched “Decibel”, its Alexa powered headset for Rs 1,799 in India. 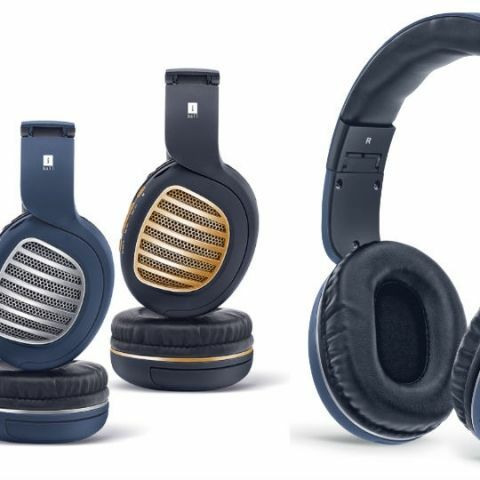 The iBall Decibel comes in three colour combinations: Oxford Blue + White Cushion + Silver grill, Oxford Blue + Black Cushion + Silver grill and Charcoal Black + Black Cushion + Bronze Gold grill and the company says that the headphones will be available with leading retail stores within a few weeks. iBall, a brand known for its innovative and latest technology devices, stands true to its testimony and adds yet another freshness to its emergent portfolio of headsets with the launch of ‘iBall Decibel Headset’ that has Alexa built-in. The iBall Decibel is also gorgeous in looks, high in quality of sound and immensely versatile offering FM Radio, AUX, MicroSD. iBall is one of the first Indian brands to launch Alexa-enabled headsets in India. Simply tap the MFB button to access hands-free voice control with Alexa on the Smart Headphone and get started by saying “Play songs from …. (movie)” or “Turn up the volume”. From playing your favourite music to asking about cricket scores to weather details, news and more, the iBall Decibel Smart Headset enabled with Alexa is a convenient way of adding voice-control to your world. Alexa is now portable and you can take her everywhere you go. Download the “Hubble Connect for Verve Life” App on both Android™ and iOS™ devices to unlock more features and access future updates. The multi-function button on the Headset also continues to allow access to your phone’s default services for Calls and Music as a regular Bluetooth® headset. Designed with premium material, iBall Decibel headset is comfortable for all-day wear. The over-ear headphone features the acoustic headphone structure that delivers powerful low notes and eliminates the need for artificial bass boosting. Listen and groove to music in any genre - sounds as it should: natural, lifelike, as recorded. Featuring dedicated 40 mm driver unit, this Bluetooth® headphone delivers a wider frequency range with a balanced, powerful lows and extended highs. iBall Decibel is packed with a smart in-line control with integrated high-quality microphone that allows users to have clear conversations. The Headphone brings high quality audio performance at any volume, and actively works up to 6 hours of wireless listening at full volume. It also comes with built-in FM Radio and multiple playback options that include Bluetooth, AUX and MicroSD Slot for direct music playback.